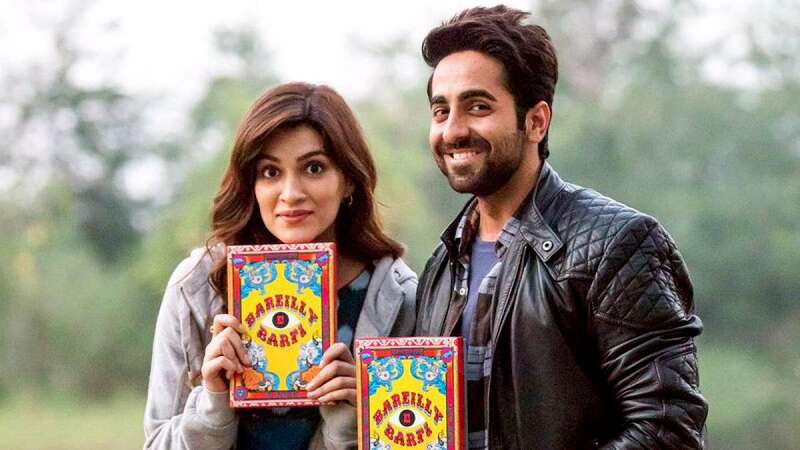 New Delhi : Actors Kriti Sanon, Ayushmann Khurrana and Rajkummar Rao on Tuesday released the first look of their upcoming film "Bareilly Ki Barfi", which has quirky and vibrant feel to it. The first poster showed Kriti holding a book, titled "Bareilly Ki Barfi", over her head against a backdrop of colourful flowers. "I cant believe what I've just read? 'Bareilly Ki Barfi'...Just cant wait for you to read it..Here's a glimpse," Kriti captioned the poster on Twitter. Rajkummar shared the poster and wrote: "This book changed my life. Here's a glimpse of 'Bareilly Ki Barfi'." Ayushmann wrote: "How did you manage to grab this one Kriti Sanon? How? This book is too special. 'Bareilly Ki Barfi'." Directed by Ashwiny Iyer Tiwari, "Bareilly Ki Barfi" is a romantic comedy rooted in the subculture of the north Indian city Bareilly. The film is slated for a release on August 18.